If you need a last minute Halloween treat which is easy to bake this is the right recipe. 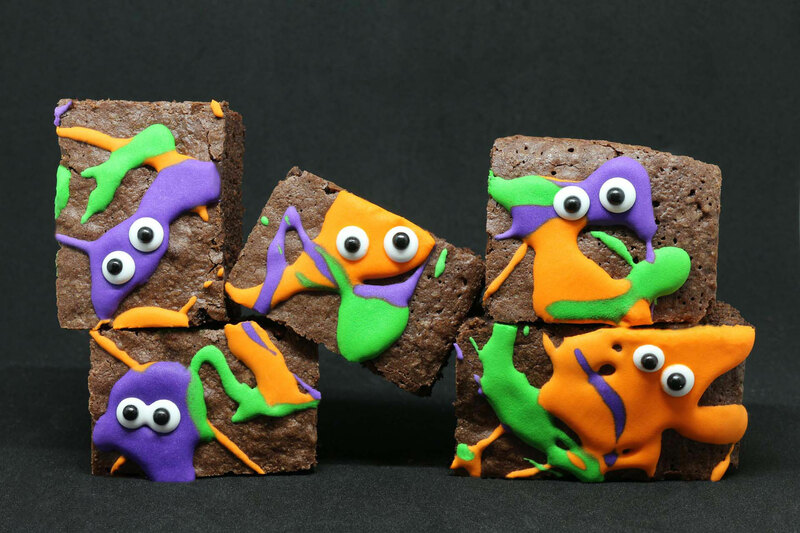 Just bake some chocolate brownies and dress them up with royal icing monsters. For the monsters you can use store bought candy eyes or make them yourself. I would recommend this because they are more individual. You can also store them for later use very easy. Just prepare some royal icing (250g powder sugar, 1,5 tablespoons Meringue Powder and 50-70ml water should be enough for the eyes and the brownies as well). Just pipe little drops of white icing on a sheet parchment paper and put a little black sugar perl on the icing. 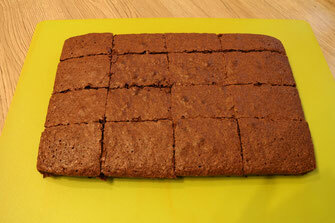 Let it dry in your oven on convection setting without heat. A detailed description how to make the eyes you can find in the monster cookies. 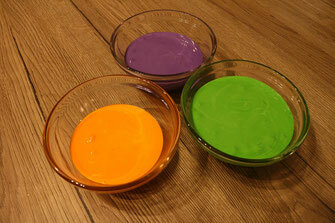 If you made out of a quarter of the Icing eyes you can divide the rest in three parts and dye them with Wilton icing colors in green, violet and orange. Depending on how much color you used you might need to add more water which I do with a little spray pump for easy dispensing. Before I decorate the brownies I cut them in pieces because this is easier without the icing on which gets hard and difficult to cut without breaking. 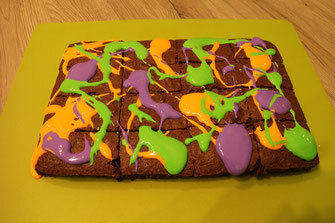 To create the monsters I distributed the icing with a spoon on the brownies, put some candy eyes on the right places and let them dry again (with a little gap between the brownies to not stick together) in the oven. And finished are your Halloween treats to impress on every party.